To view a detailed month-by-month list of this year’s events, visit Programme Detail page. 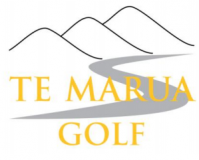 The 2019 Programme book is still under construction – the PDF version of Te Marua Golf Club 2018 Programme will provide a guide as to the time of year events are played but the exact dates will be different for 2019. Please note that the Programme is subject to change and every effort is made to keep this website up to date – if in doubt, please contact Te Marua Golf Club to confirm course usage and/or availability. Men’s Seniors golf fixtures are also sanctioned by WGI and intended to promote golf for the enjoyment of senior golfers aged 55+. For more infomation on the local Wellington activities, visit the Men’s Seniors page on the WGI website. Eagles Golfing Society (Wellington) is a group of keen golfers who enjoy the fellowship provided by the great game of golf. Visit the Wellington Eagles page on the WGI website. For more information about the Eagles society visitthe Eagles Golfing Society of New Zealand (Inc) website.